Is your child’s birthday right around the block? Or is a holiday looming in the future? We all wish to buy the perfect gift for our little ones, which would help in their mental development while also keeping them entertained. There are plenty of commercials around providing us countless options on what to buy. Nevertheless, it’s important to ponder on a few issues before buying. 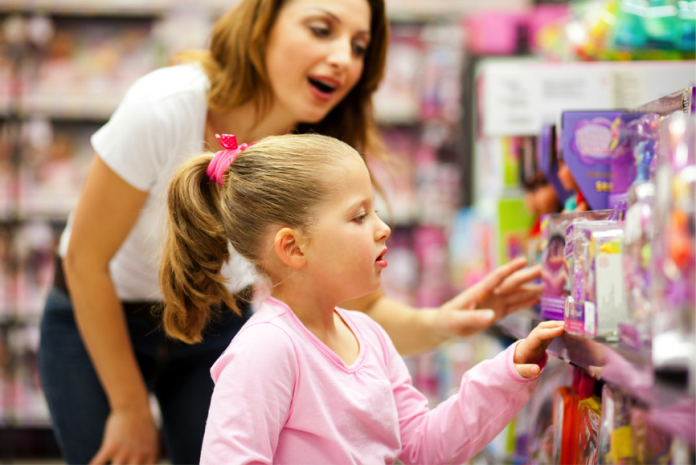 Follow the tips below to have the perfect guide in buying the best toys for your child. For your child to make the best out of a toy, it’s important to get them something age appropriate. Otherwise, it won’t contribute anything for your child’s mental growth and entertainment. Here is a list of the things to consider before buying age-appropriate toys. At this age, babies can’t even sit on their own. You must be extra cautious to not give them anything with sharp edges or something they might hurt themselves with. Grip-able toys such as rattles, puppets and baby mirrors are the best choice for babies of this age. From 6 to 12 months babies tend to move around more, so toys that help them to lie on their stomach and crawl will be ideal. Musical toys are especially helpful sensory development. Babies aged between 1 to 2 years are the ones on the roll. Anything that helps them crawl and walk would be the best choices. Walkers and small bicycles help kids to find their rhythm and teach balance. During this time kids are more imaginative and observant. So choose toys that are more descriptive and associative. Doctor’s sets, doll houses, brick and block toys and dough play sets are perfect to help bring out your child’s creativity while keeping him engaged. These preschool years are when kids need extra support to develop their imagination, language and communication skills. So it’s important to choose the best toys for kids of 3 years and over. At this age, toys will affect their social behavior and teach them the importance of sharing and taking turns. Car and truck sets, fishing sets and train sets are ideal for kids of this age. We have given you the age-specific dynamics of toy purchasing. Here’s some additional points for you to remember. Check to see if the toy you’re buying is ready to play right from the box or if it requires to be put together. Also, check to see the process of assembling it after it’s opened so you’re aware of the effort and preparation that’ll go into putting it together. Generally online reviews do provide the real picture. Someone who has bought and used the toy that you’re considering may have posted a review about its pros and cons. This will provide valuable insight for you and help in making the decision on whether to buy or not. You’re not going to buy a load of toys every other day for your kid, so it’s a good idea to buy something durable. Brands offer best quality products which are covered with a warranty or guarantee. While shopping online be careful to not buy knockoff products from lesser known vendors. These will surely not last long resulting in a pure waste of money. Children learn best when they’re young. They soak in everything that goes on around like a sponge. So you must be careful in choosing toys which not only entertain them but also help them educationally in building their self-esteem and inner confidence. Toys like kitchen and block sets go a long way in teaching your child about colors, different shapes and different languages. Pretend toys and musical toys help build their imagination and teach them soft skills respectively. Check out different stores and online sites for price listing after you have decided on what to buy. Different shops and sites may quote different prices for the same product. So research a few places to land the best price. You’re not going to spend a whole lot of money buying new toys every time so it’s a wise idea to buy multi-faceted toys which will serve newer purposes over time. While ordering online keep in mind you may have to bear extra cost for packaging and shipping so be sure to enquire about that beforehand and budget accordingly. Too many kids nowadays are becoming couch potatoes due to the lack of physical exercise. So it’s important to encourage toys which give them the scope of being physical. Bicycles, roller blades, skates or balls are perfect to get them off the couch and onto the field. At the end of the day it’s a parent’s responsibility to boost a child’s mental and physical development. Toys go a long way in providing a solid platform for a healthy education while keeping them entertained. It’s best not to get hung up on toys for a specific gender. Kids need to be familiarized with unisex toys which will prepare them better to co-exist. Lastly, remember to get down and dirty with them. Playing with your child not only gives you memories to cherish but will also help in strengthening the bond between you two.